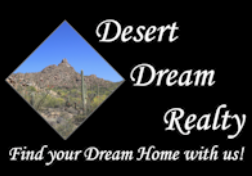 Coming Soon | Desert Dream Realty Cave Creek | 480-252-8300 | Find Your Dream Home with Us! Welcome to our Pre-Listed, Coming Soon, and Off MLS Properties section. See Pre-Listed Homes Before Anyone Else!!! Here is a full list of all our pre-listed properties including bank and lender owned, coming soon to MLS (owner owned properties going to list soon) and Off MLS (owner owned properties not currently on Multiple Listing Service). You will find an address for each property. All pre-listed bank owned and lender owned homes have MLS Supra lockbox unless noted as Drive By Only and can be shown prior to MLS listing. Keep in mind bank owned and lender-owned homes that are pre-listed may not be in ready to show condition and some homes may not have utilities turned on, so please visit during daylight hours. All Coming Soon to MLS and Off MLS labeled properties can be shown by appointment only. For your personal private showing, please contact Desert Dream Realty at 480-252-8300. Please be sure to visit this section often as we update properties and property links on a regular basis. We have No Coming Soon, Off MLS Properties right now. Please keep checking back for more Coming Soon Properties!